If you follow me on my instagram account you'll know how I raved about this product from Human Nature. I shared the many uses of this amazing beauty oil and I saw the eagerness from others to get to know this bad boy more. And so today I decided to create a complete and in-depth post all about Human Nature's Sunflower Beauty Oil. I'll also share my experience using it for almost two months and counting. The Human Nature Sun Flower Beauty Oil comes in two-size variants 50ml and 100ml. The smaller size is only 149.75pesos while the bigger size is 274.75. 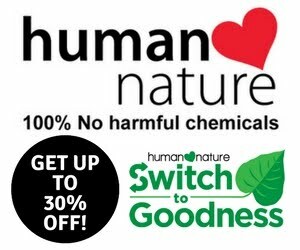 Most Human Nature products are available in leading department stores. I found and bought mine at Landmark Makati ground floor. Raves from other girls in the blogsphere led me to buy my own bottle of Human Nature Sun Flower Beauty Oil. It is my first time to introduce a beauty oil on my skincare regimen ever. Because of the positive reviews I've been reading online I already have high expectations on the effect of this miracle product. Thankfully this Human Nature best seller delivers. 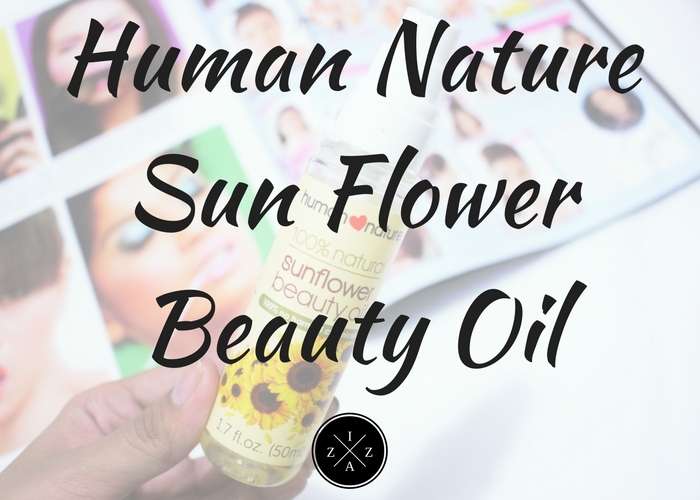 One of the very first blog post I read that showed the benefits of using the Human Nature Sun Flower Beauty Oil religiously is THIS. Ms. Kumiko Mae shared a good before and after photos and stories of how this beautiful oil made miracles on her armpits and leg scar. I was totally sold. What I do is at night after my shower I massage my armpit with one pump of this beauty oil for each. I try my best to do it every day but of course there are days I feel lazy doing my night routine and skip. After just two weeks I noticed a significant change in the condition of my underarms. I was able to wear sleeveless without much hesitation unlike before. Its lighter and the lines as well as chicken skin diminished. I'll update this post with a proof of picture once I finished my first bottle. Another great use of beauty oil in my system is as body moisturizer at night. I combine four-six pumps on my Nivea cream and apply it like a usual body cream all over my body. This makes me shiny at night but doesn't feel greasy at all which is perfect. The Nivea cream can be a bit hard to apply on the body since its heavy but with the Human Nature Sun Flower Beauty Oil I can blend it better. I also love how moisturized my skin feels as soon as I wake up. My recent Caramoan trip made me three to four shades darker and I feel like doing this regimen again is helping bring back my skin tone without drying. I have bleached my hair to achieve the two-toned ombre' hair and let me tell you it was a tragedy at first. My dyed hair literally died in the process. I used a ton of conditioner which helped bring back my hair to life and I further nourish my ends with this Human Nature Sun Flower Beauty Oil. I apply this directly on my hair as soon as it is halfway dry it gives nice results. My hair is straighter, the color is brighter and I don't worry much about tangles too. This baby also helps lighten my old and new scars. 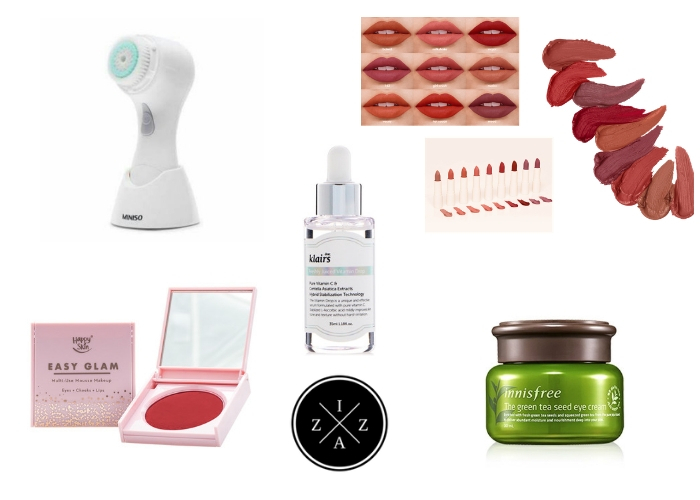 I have mentioned how I suffer from childhood scars and using this beauty oil regularly for the last two months helped make the dark spots less noticeable. I love how it is easily absorbed by my skin and since its a pump style application is way easier and more hygienic. I had this terrible night when I suddenly felt super itchy all over my body. I applied this beauty oil like lotion and it relieved the discomfort I am feeling in an instant. On a regular basis I use my Bifesta Eye Makeup Remover to remove all of my makeup but for nights when I want to double cleanse, this Human Nature Sun Flower Beauty Oil is what I use on my face. This works like the Johnson's Baby Oil I shared to you before as the best and cheapest makeup remover over. 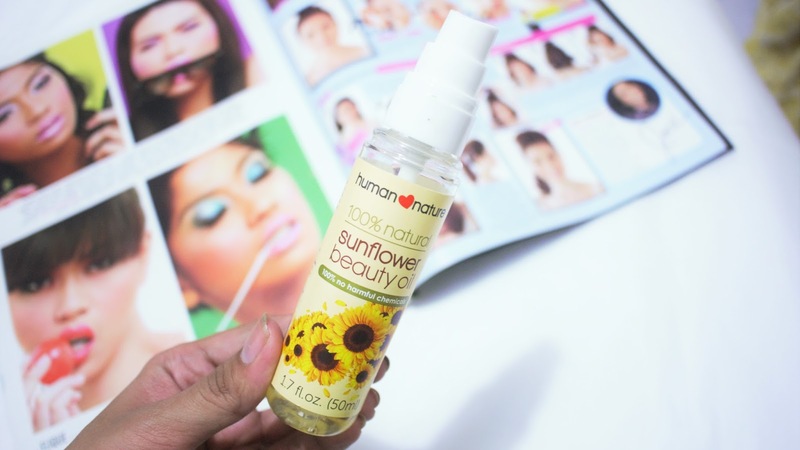 The Human Nature Sun Flower Beauty Oil is an absolute must-have for everyone. I love that it comes with a pump though it is sometimes hard to press. It also doesn't have any unpleasant smell and doesn't leave the skin with weird and sticky feeling. The small bottle lasts long enough depending on what purpose you'll use it which gives it five stars for value for money.